List of Top 10 graduates of PMA "Siklab Diwa" Class of 2014 - Balita Boss! The top 10 graduating cadets of Philippine Military Academy (PMA) “Siklab Diwa” Class of 2014 were released Tuesday, March 11, 2014. 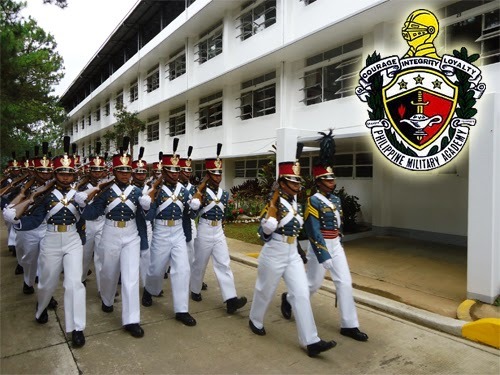 Cadet First Class Jheorge Millena Llona, a native of Maopi, Daraga, Albay, will graduate on March 16, as this year’s PMA topnotcher among 223 graduating cadets. Llona will be joining the Philippine Air Force (PAF) and will be awarded the following merits: Presidential Saber from President Benigno S. Aquino III as Commander-in-Chief of the Armed Forces of the Philippines, Philippine Air Force Saber, Academic Group Award, Management Plaque, Air Force Professional Courses Plaque, Joint United States Military Advisory Group (JUSMAG) Award, General Antonio Luna Award, and Australian Defense Best Overall Performance Award. Cadet 1CL Liza Jumawid Dango, a resident of Bulao, Cagayan De Oro City, the only female in the Top 10, is class salutatorian. She will be joining the Philippine Army upon graduation. She will be receiving the Vice Presidential Saber, the Philippine Army Saber, the Humanities Plaque, and the Australian Defense Best Overall Performance Award. Cadet 1CL Billy Casibi Codiam of Tanudan, Kalinga, who will join the Army, placed third. He will be awarded the following: Secretary of National Defense Saber, Social Sciences Plaque, and Spanish Armed Forces Saber. Fourth placer Cadet 1CL Leo Mac Callueng Tuliao of Penablanca, Cagayan will be joining the Air Force. Cadet 1CL Noel De Venecia Raguindin of Dagupan City, Pangasinan, placed fifth. He will be receiving the Philippine Navy Saber and Tactic Groups Award, and will be joining the Philippine Navy. A native of Tuguegarao City, Cadet 1CL Carlito Christopher Pajarillo Agustin placed sixth. He will be also joining the Army. At number 7 is Cadet 1CL Frank Anzale of Batbangon, Leyte. He is joining the Army. He will be receiving the Natural Sciences Plaque. In the eighth place is Cadet 1CL King Kristian Dennis Marca Argoso of Gumaca, Quezon. He is joining Air Force. Ninth place Cadet 1CL Greg Philip Lesmoras Monsalud, is joining the Navy. He will be receiving the Navy Professional Courses Plaque. Cadet 1CL Alvin Kantala Balangcod of Kapangan, Benguet, placed 10th and will be joining the Army. 204 of the 223 graduating cadets this year are male and 19 are female with 118 cadets going to the Army, 57 to the Navy, 48 to the Air Force. Nine women will be joining the Army, six to the Navy and four to the Air Force. The PMA Graduation is at Fort Del Pilar in Baguio Cith with the President as guest of honor.